Orbital Sciences Corporation announced in December 2010 that it has signed a contract with The Boeing Company to provide the complete Fixed Satellite Services (FSS) segment of the MEXSAT satellite system for the Federal Government of Mexico. The Ministry of Communications and Transports (Secretaria de Communicaciones y Transportes, SCT) is overseeing the three-satellite project, which includes two larger spacecraft (MEXSAT-1 and MEXSAT-2) provided by Boeing as well as the smaller MEXSAT-3 spacecraft provided by Orbital. 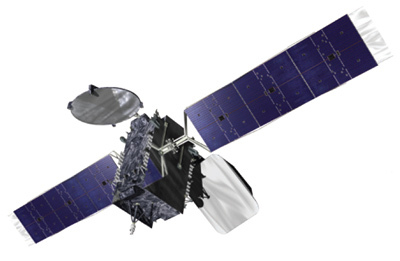 The MEXSAT satellite system comprises two Mobile Satellite Services (MSS) spacecraft designed and built by Boeing and one FSS spacecraft designed and built by Orbital. Under the contract with Boeing, Orbital will provide the MEXSAT-3 FSS spacecraft that will be based on the company’s STAR-2.4 platform. It will generate approximately 3.5 kilowatts of payload power and carry 12 active extended Ku-band and 12 active extended C-band transponders. MEXSAT-3 will provide communications services to Mexico and its surrounding waters from the 114.9 degree West longitude orbital slot. In addition to the MEXSAT-3 spacecraft, Orbital is also responsible for providing the FSS ground segment, including satellite command and control ground equipment and software, as well as training and operational documentation.